Very comfy beds.. variety options for breakfast.. pool area was so nice and the changing rooms are so clean. Great hotel, great value, nice breakfast, lovely pool, polite staff and super comfy beds. I was kind of happy and i like it the way they respond to my request although i know from the beginning they cannot guarantee it but they tried their very best to make it possible. I appreciate Mr. Ahdi the manager in the front office he was very helpful and kind, plus he gave us a very food room with amazing view .. 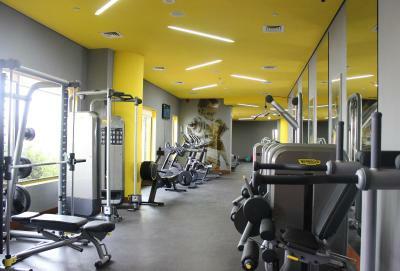 Thank U Mr. Ahdi once again. The parking stuff support very fast to bring the cara however this time was rush but they handle everything in a right way . Location. Belgian cafe is great with excellent service. The hotel is a ugly dark brown and yellow pattern for halls and guest rooms. 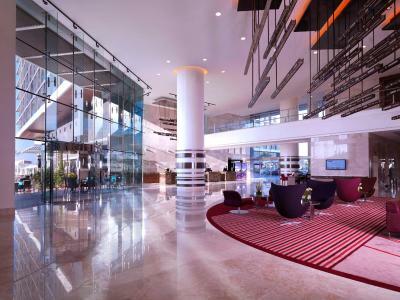 Radisson Blu Hotel, Abu Dhabi Yas Island This rating is a reflection of how the property compares to the industry standard when it comes to price, facilities and services available. It's based on a self-evaluation by the property. Use this rating to help choose your stay! 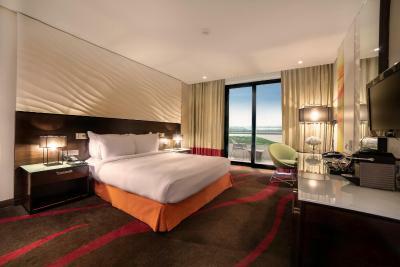 One of our top picks in Abu Dhabi.Located on Yas Island, Radisson Blu is 7 minutes’ drive from Abu Dhabi International Airport. It features an infinity pool, tennis courts and a spa with professional therapists.Free WiFi is available throughout the entire property. 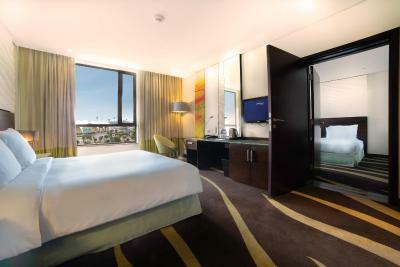 Each spacious room features a flat-screen TV and a king-size bed. 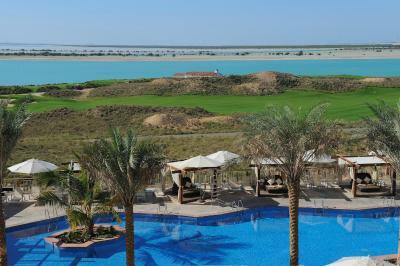 The bedrooms have private bathrooms and overlook the Arabian Gulf, the Yas Links Golf Course and the Formula 1 circuit. 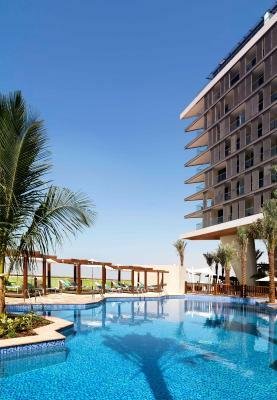 Leisure facilities at the Radisson Blu include a large outdoor pool, a fitness center and a children’s play area with a pool. 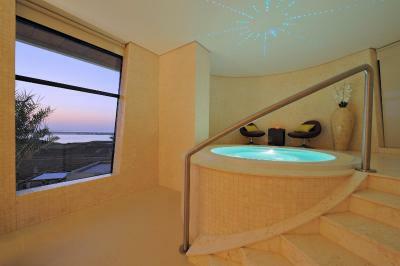 There is also a spa offering relaxation treatments and massages. 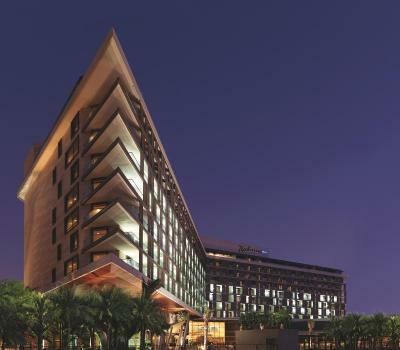 Radisson Blu, Abu Dhabi Yas Island is located 15-minutes from Abu Dhabi National Exhibition Center and a 5-minute drive from Ferrari World Abu Dhabi and Yas Waterworld. 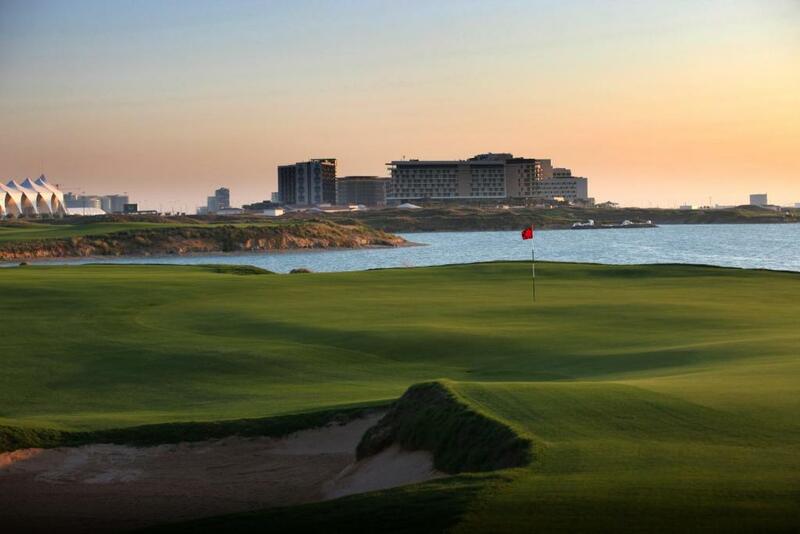 Saadiyat Beach Golf Club is 20 minute drive and approximately 20-minutes from the city center. 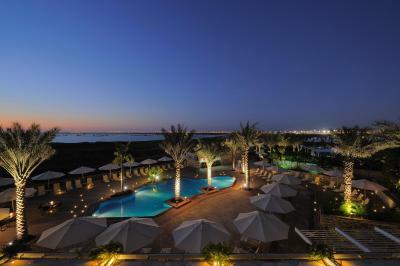 Guests can enjoy Yas Beach which is 10-minute walk from the hotel. Airport transfer is available. 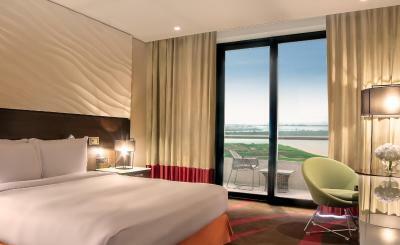 When would you like to stay at Radisson Blu Hotel, Abu Dhabi Yas Island? 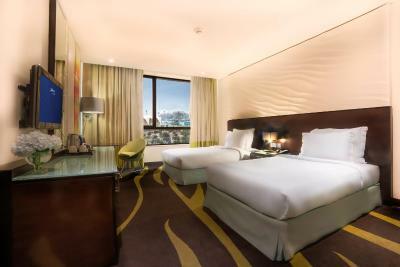 The perfect room for travelers on a busy schedule. 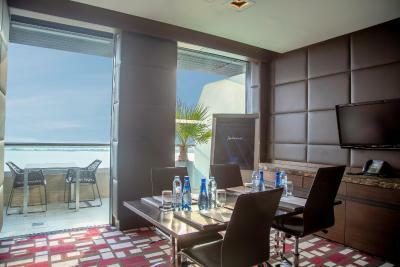 Each Executive Room has a Nespresso machine for that quick delicious coffee, bathrobe & slippers, and a private balcony with a stunning sea view. 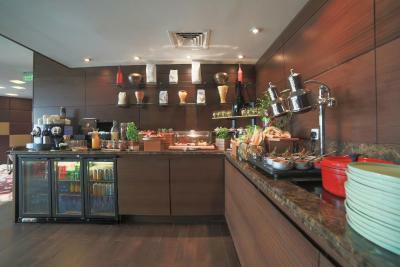 It also includes access to our very exclusive Business Class Lounge for complimentary breakfast, beverages and snacks throughout the day. 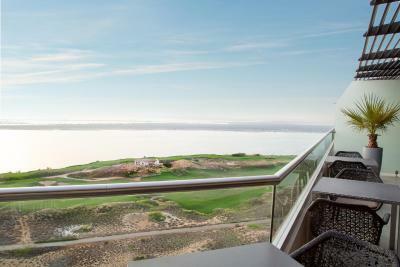 This air-conditioned one-bedroom suite features a spectacular view of the sea & golf course. 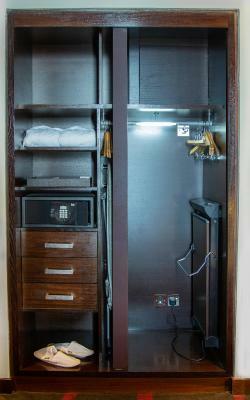 It includes free WiFi, a mini-bar, an in-room safe and a flat-screen satellite TV. 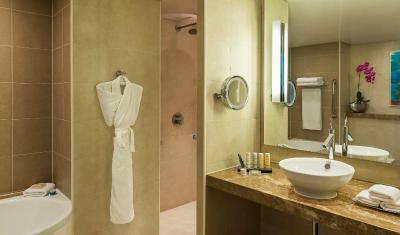 The bathroom is fitted with a shower and offers a bathrobe and slippers. 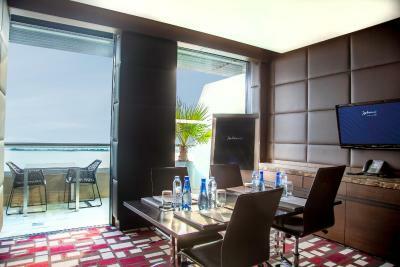 The rooms are placed on high floors and offer dazzling views of the Yas Marina. 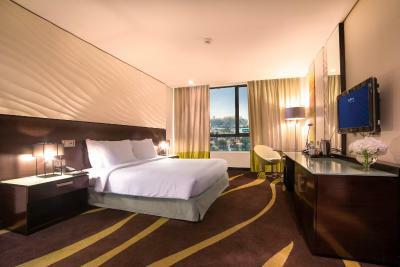 Each room features comfortable amenities like free high-speed WiFi and individual climate control. 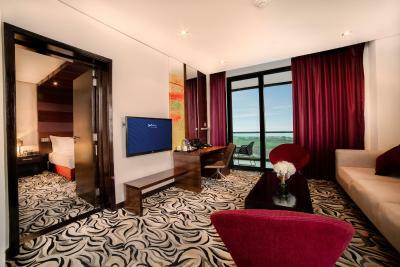 Relax as you watch movies on the flat-screen television, then drift off to sleep in the plush, comfortable bed. 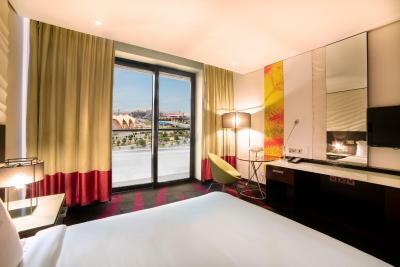 This is the perfect room to enjoy spectacular views of the racing cars in the iconic Yas Marina Circuit. 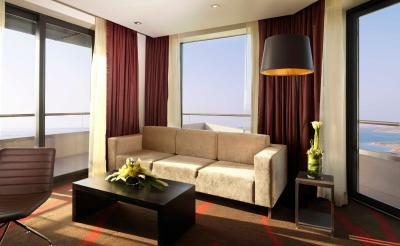 Feel the thrill of the race or relax in the comfort of your own private balcony. This is the highest room category. 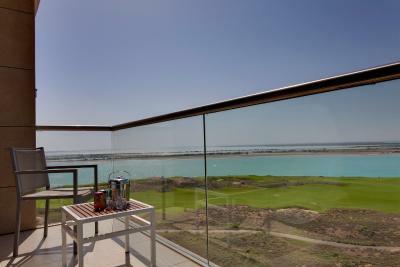 Immerse yourself in a panoramic view of the crystal blue waters of the Arabian Gulf and Yas Island; all this while sipping coffee or reading the newspaper from your own private large balcony. 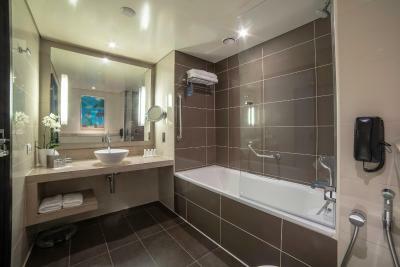 The Deluxe Suite includes 2 luxurious bathrooms and a separate living room with a flat-screen television, sofa and coffee table. Fruit basket on arrival as compliments from the hotel along with all the benefits of an Executive Room. 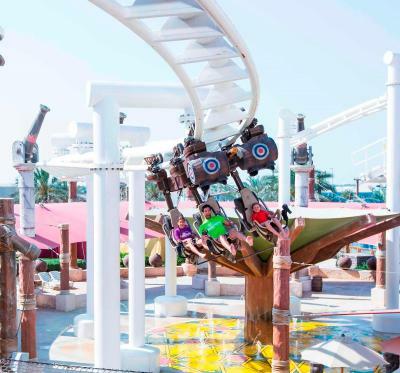 - Theme Park Ticket will be issued maximum up to 2 adults and tickets for extra adults and children to be purchased directly from theme park(s). 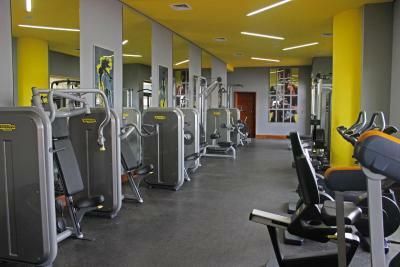 -Complimentary access to the hotel's outdoor facilities and spa facilities. 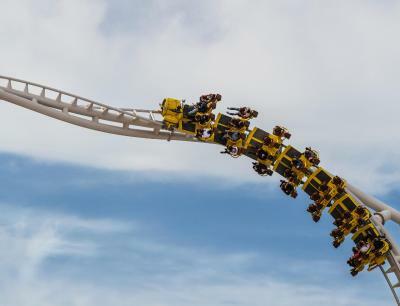 -Park Ticket is valid only during the stay If booking made for same day arrival then the tickets for park access will only be given for next day as per the Theme park rule and regulations. Please note that on 7th March there will be Ladies Day & Night together (10:00am-23:00), Balqees Ladies Night event on 21st March (18:00 – 23:00) Yas Water world will be operating for ladies only, and males aged 8 or above are not eligible to enter. Please note that every Thursday from 6pm till 11pm is ladies night and this deal is not valid. Cannot be combined with any other promotional offers Offer is subject to availability and may change or be withdrawn at any time without prior notice Hotel reserves the right to charge entire stay in case of stay reduction. 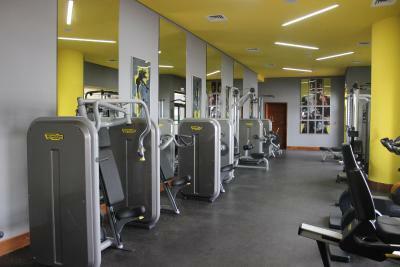 Complimentary access to the Yas beach. 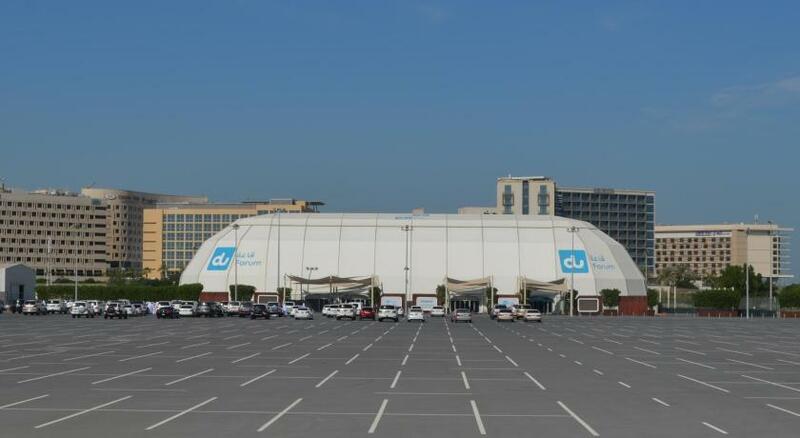 Complimentary shuttle service to Yas Mall and Yas Beach. 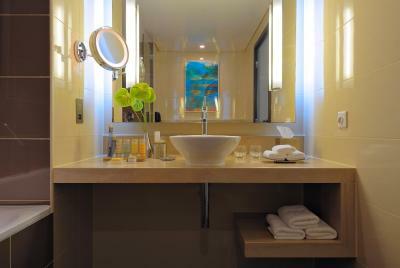 Complimentary access to hotel's outdoor facilities and spa facilities. 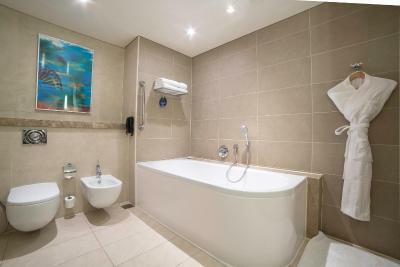 Rate offer is per room per night excluding 10% service charge, 3.5% tourism fees and 2% municipality fees. 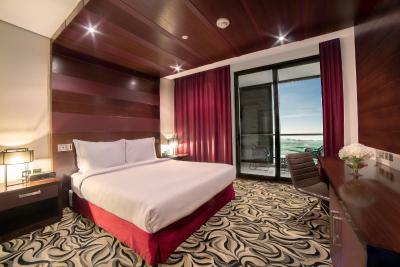 Rate offer excludes AED10 per room per night municipality room fee and to be paid directly to the hotel. Full advance payment will be required to confirm the room and F1 tickets. 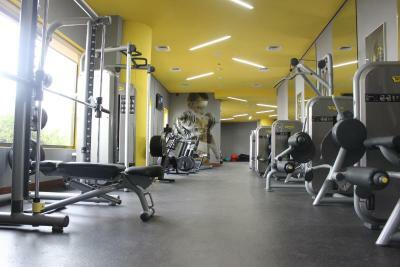 Reservation once confirmed will be non – refundable and amendable. 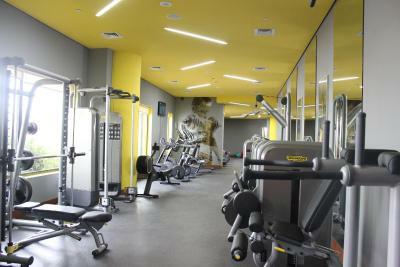 100% cancellation or no show charge will be taken for full duration of stay. With stunning views of the Arabian Gulf and Yas Links Golf course, a soothing color scheme of creams, golds and browns; the Premium Room invites you to unwind in a peaceful island retreat while enjoying amazing sunsets. 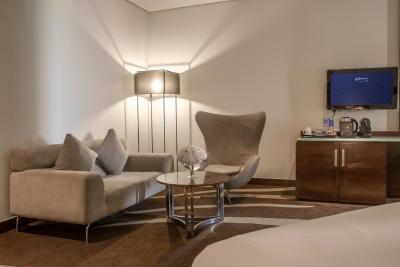 A plush king-size bed ensures you sleep well, while coffee and tea provisions energize you in the morning. This is the ideal room for every kind of traveler – whether you’re on business, honeymoon or with the family. 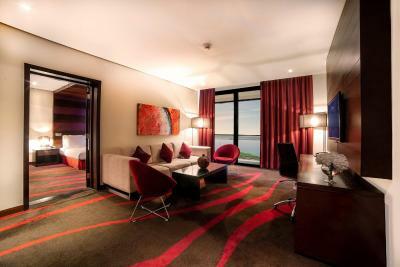 Along with a luxurious king-size bed, the Junior Suite also features a double sofa bed, Nespresso machine, private balcony with sea view and also includes access to complimentary beverages & snacks at the Business Class Lounge. 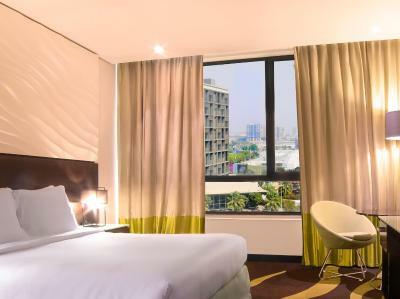 For the ultimate family holiday, this category features a room with a king size bed which connects to another room with twin size beds. 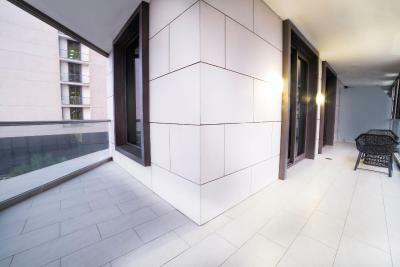 Perfect for a group of friends on an urban getaway or a large family who wants to stay together, but still enjoy some privacy by having the interconnecting door kept open or closed. Please note that on 7th March there will be Ladies Day & Night together (10:00am-23:00), Balqees Ladies Night event on 21st March (18:00 – 23:00) Yas Water world will be operating for ladies only, and males aged 8 or above are not eligible to enter. 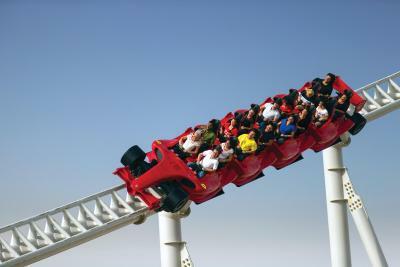 Ferrari World , Yas Water World, or Warner Bros. World tickets for extra adults and tickets for additional children to be purchased directly from theme park(s) Please note that every Thursday from 6pm till 11pm is ladies night and this deal is not valid. Cannot be combined with any other promotional offers Offer is subject to availability and may change or be withdrawn at any time without prior notice Hotel reserves the right to charge entire stay in case of stay reduction. 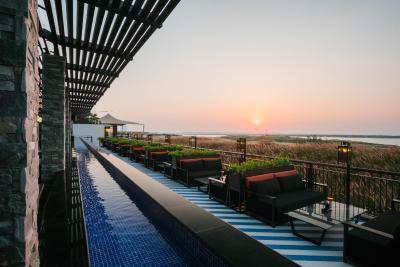 House Rules Radisson Blu Hotel, Abu Dhabi Yas Island takes special requests – add in the next step! 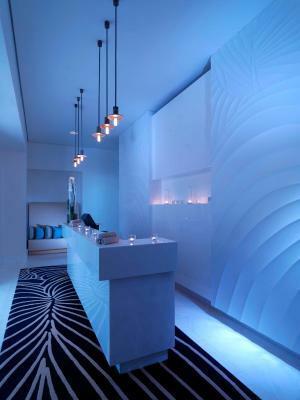 Radisson Blu Hotel, Abu Dhabi Yas Island accepts these cards and reserves the right to temporarily hold an amount prior to arrival. Kindly note that guests must be over 18 years old to access the business lounge. Everything was perfect ! Everyone was pleasant ! 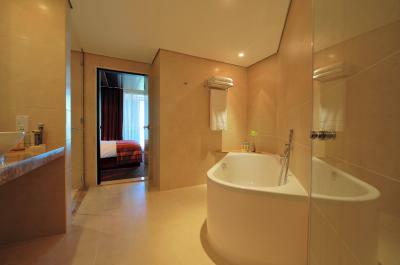 the rooms are really clean, the situation of the hôtel is perfect ! The terrace with the swimming pool is idillic! We'd love it ! Although the bed sheets, towels and bathroom were clean, the carpets in our room and in the corridors were filthy and the units and phone in the bedroom had a layer of dust across them. The decor in the room looked warn and a bit grubby. The mini bar was empty apart from two sticky pots of milk. 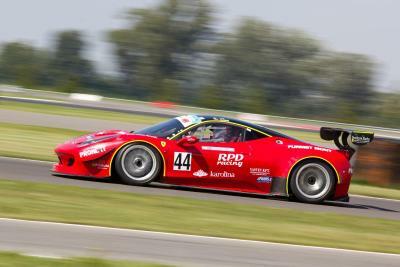 Easy check in and check out, good atmosphere and great location for the racing circuit/Du arena. All the staff were really lovely and always went above and beyond to help. There was a good supply of bottled water provided in the room. Everything about the hotel it was far low than any worst hotel .. Very bad service..my parents who came all the way from India accompanied us for the stay. They forgot to take their original passport as id. Instead we showed copy of passport and driving licence and the staff was so rude. They asked us to drive back all the way to dubai get the passport s and come back. Since we paid we were forced to do so. The worst experience ever with Radisson. We have stayed in Radisson s many hotels worldwide but here again we would never do so. Amazing staff very kind and friendly. Beautiful location close to everything, the restaurants at the hotel were very nice.